This project was a great example of how to improve your home in order to better entertain family and friends. The new development meant the home was given a super spacious dining room that took up roughly a quarter of the overall ground floor! Quite a luxury. 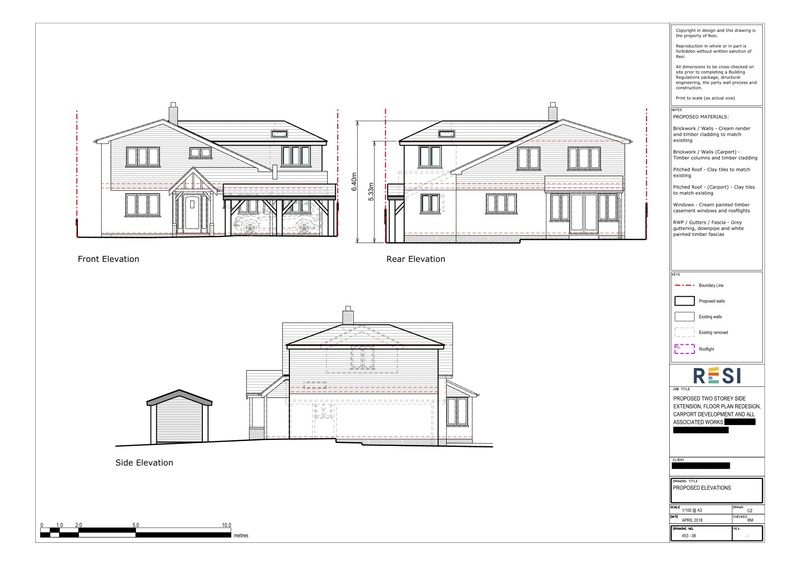 This project was carried out under full planning permission, which was granted on 7th August 2018. 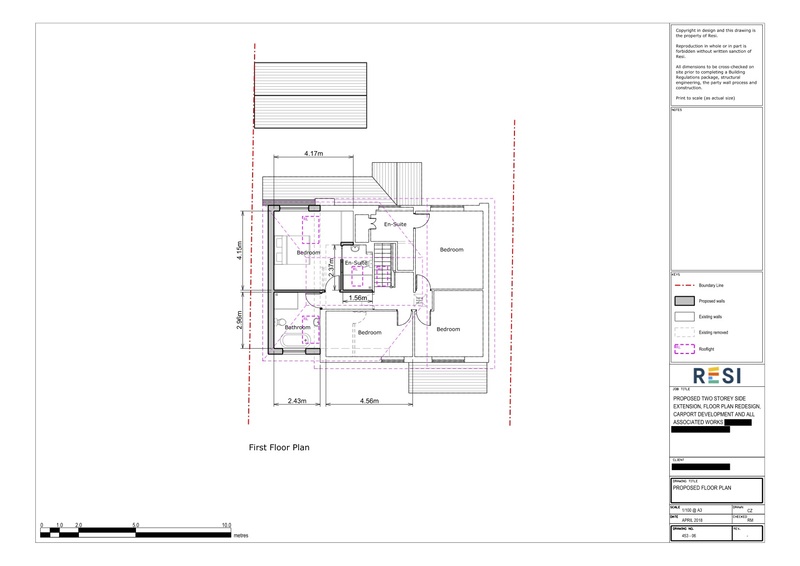 Our client was looking to build a two storey side extension in order to accommodate an enlarged dining area, utility room, and WC on the ground floor, and a bedroom and relocated bathroom on the first floor. Their preferred style was modern, but not too stark. This would replace the existing garage on the ground floor. For the ground floor, I removed part of the external wall in order to create a spacious dining area, which was attached to the kitchen in a semi open plan layout. Behind this stood a relocated and enlarged utility room and WC. 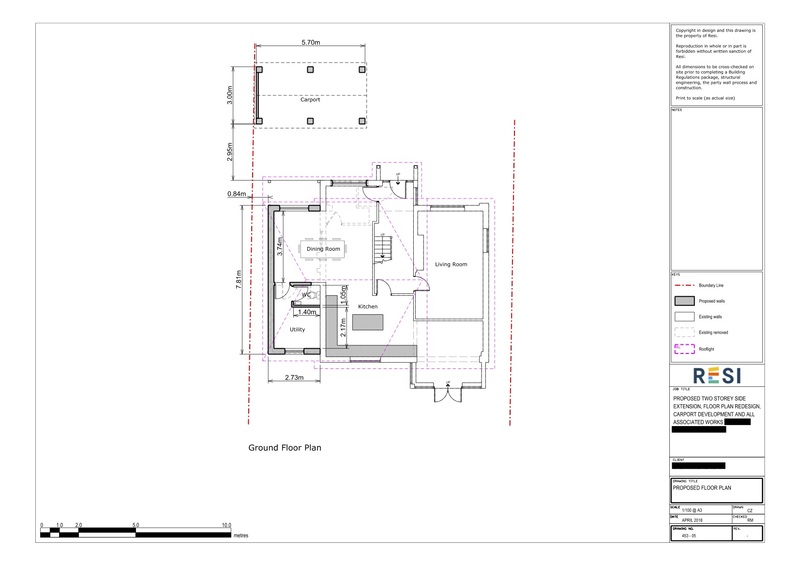 For the first floor, I incorporated an extra bedroom into the layout, with an enlarged bathroom. To this floor I added three skylights - one in the new bedroom, one in the ensuite, and one in the newly enlarged bathroom, which filled the space with plenty of natural light.